The first word that comes to mind when I think of Media, is news. News is all around us. The most used and best way to spread news is threw media. Media can be labeled as many different things. There is photographer media that you would find at a sporting event, news channel media, and the most eminent, social media. 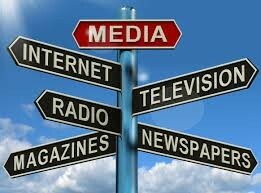 All these forms of Media represent and spread news to the world through pictures, news anchors, or posts. Media can help spread personal news that you share on social media, news that is community or state based through news channels on your TV, or much more. Media is always around us even when we think it isn’t. If we have a smart phone, we at least have three ways of media by the numerous of apps on our phones. Newspapers are also media because they have tons of news in them about what it going on locally or nationwide. A newspaper is pieces of paper with different colors printed on the paper that gets put into a plastic bag that gets thrown out of a car on your driveway for you to run over for a week, before you actually pick it up and bring it inside to read or throw away. It seems newspapers are ancient these days. For the longest time, newspapers were the number one source for Media because we didn’t have these fancy apps to tell us the news in seconds. We had to flip through pages of words in ink to find out what was going on around us in the world. I believe people from the past were more Media Literate than humans to date. 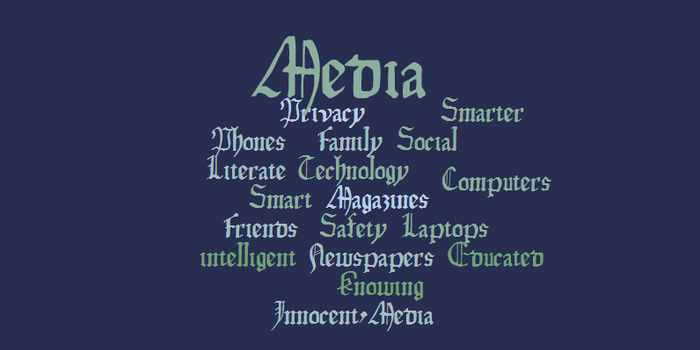 Media Literate is the understanding what is surrounding them in their daily lives through the internet. Literate plainly means being educated. If you are Media Literate than you know more about what is surrounding you. People today are so zoned into a device that is inches away from their face daily which keeps them shielded from the world around them. If our generation were more media literate than generations from the past, we would be smarter and capable to do much more than we do today. These different apps and websites are crucial areas you can find media. Budweiser Super Bowl XLVIII Commercial -- "A Hero's Welcome"
Budweiser, a beer franchise, made a commercial, “A hero’s welcome” (2014), for this year’s super bowl and asserts the importance of giving soldiers a “hero’s welcome” that of when he comes home from war. The director started the commercial with the soldier meeting his girlfriend at the airport and finishes the commercial with a parade that the town puts on, giving the soldier all the respect and attention he deserves. The main purpose for this commercial was to show how soldiers should be welcomed and respected in order to humble the audience and have them realize how important it is to show respect to soldiers coming home from war. Budweiser wanted to interact with the world in a compassionate voice by not making the commercial all about beer, but by showing how society should show love towards soldiers and how you should express your appreciation. Why I say this is my theme song? I pondered on what song I believed would be the perfect theme song for the book, 1984 and I came to the conclusion that " It Ain't the Whiskey" by Gary Allan would be a perfect fit. This country song illustrates how someone can have passion for someone but in the end realize that what was really hurting themselves was the passion for that person. This is exactly how Winston and Julia were in the book, 1984. Winston loved and cared for Julia but in the end, loving Julia is why he was sent to room 101 and had to go through the most excruciating thing he has ever gone through. The entire chorus reminds me of the times Winston spent with Julia and how in the end Winston realizes, “It ain’t the whiskey” that’s killing him, its Julia. When I hear the words, whiskey and cigarettes, I get flashbacks from when Winston is searching for a cigarette or some cheap whiskey to get his mind off the fact of how much he hates Big Brother. But one of the main points of why this song relates to 1984 is, “The deep dark hole where love used to be”. This line immediately made me think of Room 101 because when he went into the room is was 100% in love with Julia and wouldn’t deny it, but when they put Winston’s deep darkest fear in front of him the love for Julia escaped him and Winston was no longer in love with Julia. Throughout the course of this semester, I have learned a lot more than I ever imagined in Media Literacy. When I first arrived through the doors of Mrs. Hick’s classroom, I thought all we would do is read British books because I originally thought this class was British literacy. When we started our work, everything said Media Literacy and I was extremely confused. Come to find out that our senior language arts AKS switched to media literacy. The more we learned about the media and every aspect involving literary devices in media in intrigued me to learn more. Whenever a teacher can intrigue a student that is when the teacher is successfully doing their job. 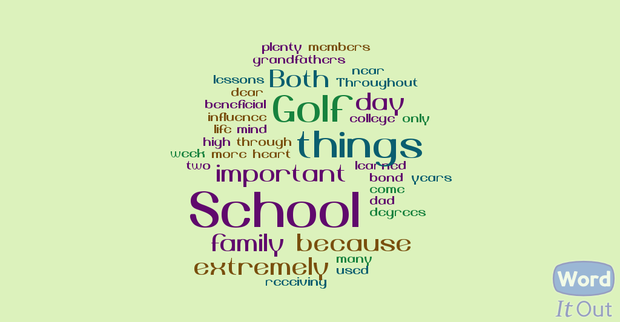 Everything we did I liked, I never was bored, and I rarely goofed off and went off subject because everything we did in class related to everyday life. 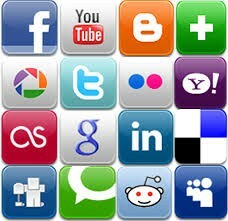 Social Media sites are a part of our life and when we can discuss it in class it allows the student to connect with the teacher more so than connecting through bookwork. Discussing Facebook, Twitter, and other social media sites honestly made me enjoy language arts more and made one of my classes in my final semester in high school more enjoyable and excited. In our first assignment we had to write about what we thought media literacy would be like. My view of the class from the beginning to now has changed for the better. I thought we would still be doing book work and reading about the history of social media, but instead we have done activities and been hands on about learning about what happens in our daily life on a social media standpoint. If there was one thing I could add on to help improve media literacy it would honestly be to only read the book 1984 and have the rest of the semester be all about learning more about Social Media and all the social media sites out on the cyber world. That way the students will enjoy the class more because they are learning about things that happen in their daily life. You’re allowing them to do research on things that students use and are on most of the day so being on them in class and learning about them will help them and allow them to have a better enjoyable learning experience. Isn’t that what teachers are trying to accomplish?